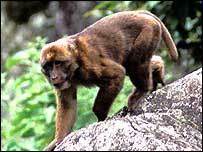 A new species of monkey has been discovered in Arunachal Pradesh. They're going to call it the Arunachal macaque. I don't know why, I'm a sucker for monkeys.